When we think of works of art, we so often think of images in frames, pieces of sculpture in all shapes and sizes and other things we can see and touch (although this isn’t usually advised), but we don’t always consider the way art could create a feeling. The rise in the number of artists using light and light installations as their chosen medium has meant that art now needs to be thought about in terms of how it creates an intangible effect. 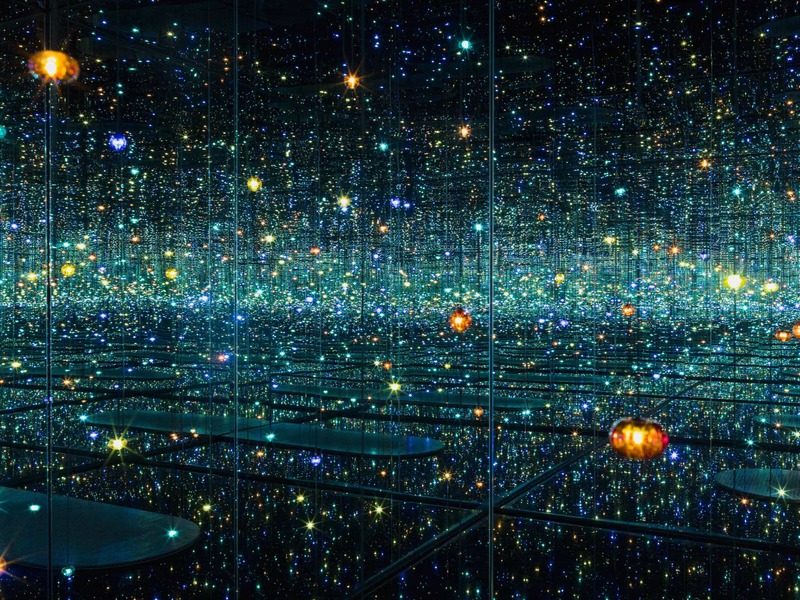 Changes in light, and sometimes space through the use of mirrors, as in Yayoi Kusama’s Infinity Rooms, are undoubtedly works of art, but the means through which they are experienced are completely different. The reason that light installations have such a profound effect is because your entire space and surroundings are transformed by the artist. You can’t be distracted or turn your point of vision away from the art because your entire space is the work of art. 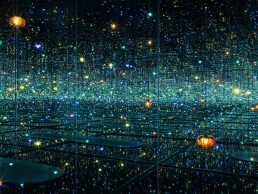 In the same vein, light installations are experienced in a different way by everyone who visits them at any given time. Although we all have our own unique ways of interpreting and seeing works of art, pieces using light very literally look different depending on many things such as the time of day and your position in the space. 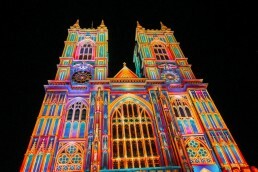 The best example of this are the light installation festivals such as Lumiere in the UK, during which artists from across the world display their works around cities in open public spaces. The pieces are not only enjoyed by art-lovers who come to the city explicitly to see the festival, but also by passers-by who may simply see the piece during their commute. These pieces are displayed over many days and therefore, are seen both during the day and at night. They also make use of the urban landscape and landmarks of the city – either to highlight them or obscure their original purpose. One of the most popular pieces of the 2018 festival was Patrice Warrener’s The Light of the Spirit (Chapter 2). 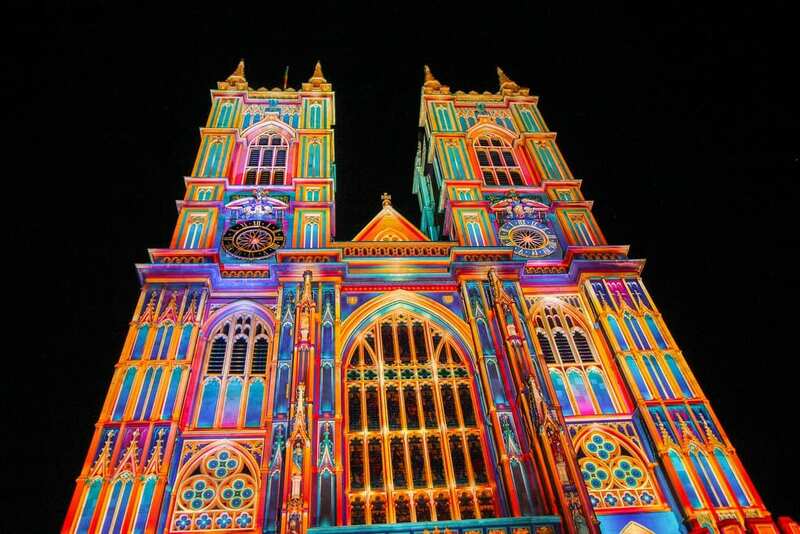 The lights illuminate the figures on the façade of Westminster Abbey to give them a new life, reflecting the rich and colourful lives they lived in their own times. The work both enhances and disguises the appearance of the Abbey, as it shows off the great architectural achievements of the building whilst also making it appear as a place of fun and frivolity where usually it is seen as a grand and robust structure. These pieces can use light and light sources in numerous different ways. 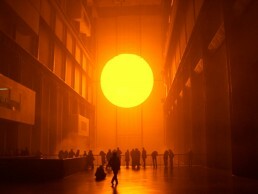 Many installations use the bulbs or light source as part of the artwork itself, such as The Weather Project by Olafur Eliasson which gives the effect of a setting sun bathing the room of visitors in a warm orange glow. Others may hide the light source, to give viewers the experience of having their environment be altered by an unseen force – enhancing the power of the artist over the experience. The Weather Project itself is unlike many art installations as it changes over set time periods, so not only is the work experienced uniquely by everyone who visits, it also changes perspective throughout their time in the exhibit. The aim is to show that the earth and climate is ephemeral and outside of our control, as much as the piece is out of the control of the viewers and changes seemingly without reason. Whatever way the artist chooses to use art, and whichever setting they choose to host their installation, there is no doubting that works of art using light are changing the landscape of art and the ways in which it is experienced. When done in public spaces they are accessible to all, and they have the ability to complete transform familiar landscapes. We look forward to seeing the ways artists find to use light as this medium continues to develop.